Has teamed with Ivanka Trump. 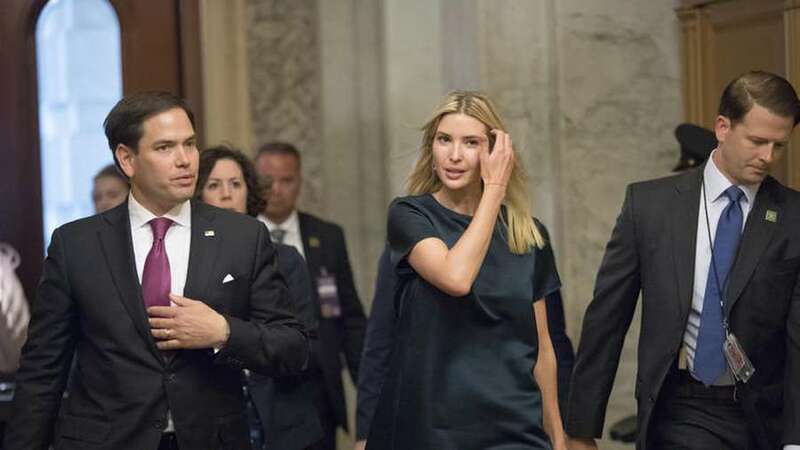 Sen. Marco Rubio this week will introduce a long-promised plan to create paid leave that is likely to draw opposition for weakening Social Security but represents the Florida Republican's latest move to establish himself as a leader on family policy. Paid leave has long been a goal of Democrats but Rubio promotes a "conservative solution," paying for the benefits by allowing people to take from Social Security, delaying what would come at retirement. Ivanka Trump has helped develop the proposal as have Sens. Joni Ernst and Mike Lee. Details had not been released as of Sunday night. Rubio's pitch comes with a campaign style video (produced by his Senate office) that seems to underscore his continued national ambition, a post-Trump figure. "In this time of great disruption and insecurity, our country needs an economy that works for all Americans. One that stops the erosion of the American dream. One that works for both the laid-off factory worker and the immigrant family of a bartender and maid—and all of their children," says Rubio, who notes he pushed for a better child tax credit in the sweeping tax bill. It's uncertain how much support Rubio has gained from fellow Republicans and Democrats are against anything that could affect Social Security. "I don't want to take away from somebody's Social Security," Democratic Sen. Bill Nelson told the Tampa Bay Times after a campaign event in St. Petersburg on Saturday, stressing he hadn't seen details. "They've earned it all their lives and they finally get to the age of eligibility, they need it to live." – Times staff writer Kirby Wilson contributed to this report.